As reported by TeamTalk, players from Tottenham, Liverpool, Manchester United and Chelsea have been named in a bizarre line-up claiming to be the official FIFA World Cup Team of the Tournament. The team was leaked on social media on Tuesday afternoon and it’s fair to say that if this is the official line-up, then some serious questions need to be asked of whoever selected it. 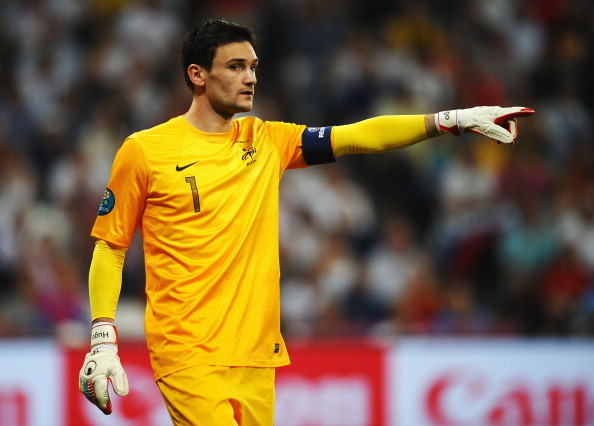 Tottenham goalkeeper Hugo Lloris led France to their stunning triumph and he made some fine saves along the way. However, the experienced stopper made a huge error in the final and even the most die-hard Spurs fans would do well to argue Lloris was the best keeper at the World Cup. Golden Glove winner Thibaut Courtois would be in with a shout while England’s Jordan Pickford also excelled between the sticks so Lloris’s selection comes as a surprise. Manchester United full-back Ashley Young is selected at left-back. The 33-year-old was solid for most of the tournament but struggled against Croatia and there’s no way he was the best left-back in Russia this summer. Dejan Lovren helped lead Croatia to the final but Diego Godin surely deserves a place in the Team of the Tournament after some excellent performances for Uruguay while Harry Maguire also shone at the back for England. You can’t argue with Raphael Varane’s inclusion as he was superb for France while Tottenham’s Kieran Trippier was outstanding throughout the tournament for England so he deserves a place in the line-up. Likewise, there’s no doubt Luka Modric should be in the TOTT as the Golden Ball winner was voted as the best player of the World Cup but Paulinho’s inclusion has really raised a few eyebrows. For the Brazilian to be picked ahead of Paul Pogba or N’Golo Kante is laughable. Chelsea’s Eden Hazard was one of the best attackers at the World Cup so it’s no surprise to see him in the line-up while Antoine Griezmann also impressed for winners France but there’s no way Neymar should be included. The Brazilian failed to shine and is best remembered for his play acting more than anything else. Ivan Perisic should certainly have been named in the Team of the Tournament ahead of the PSG star. Kylian Mbappe showed his quality with some moments of genius and scored in the final so he has a strong case for his inclusion but there is no place for Golden Boot winner Harry Kane or Romelu Lukaku. Overall, you’d question why Lloris, Lovren, Young, Paulinho and Neymar made the cut in this bizarre team. Surely this has to be ‘fake news’? !